Beautiful ruched tablecloth finished with ruffle hem. 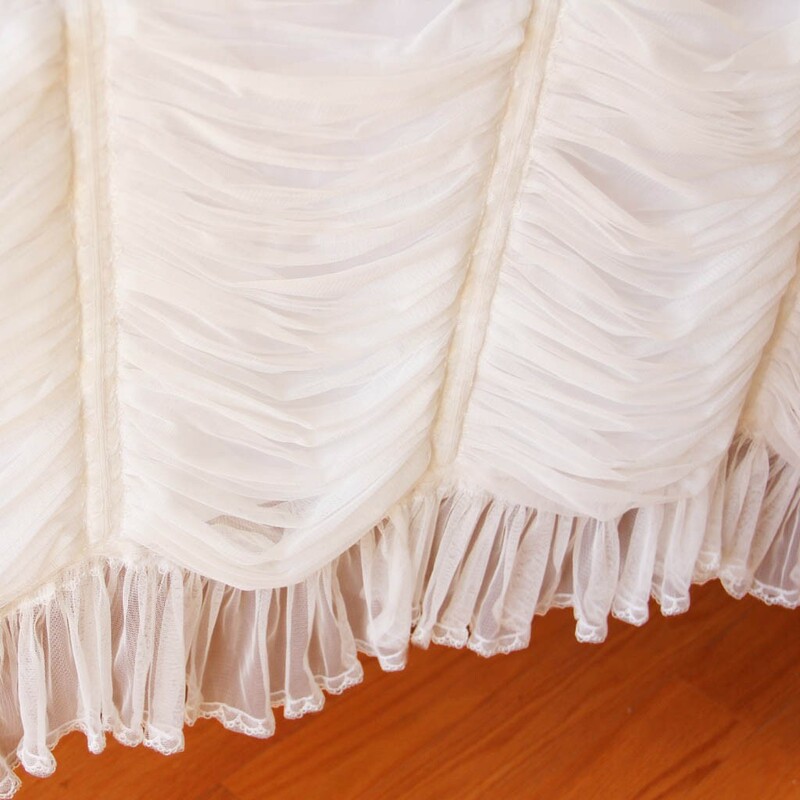 All seams are decorated with lace trim. 4ft Rectangular White Ruffled Fitted Tablecloth : 48"L x 24"W x 20"H (skirt length). 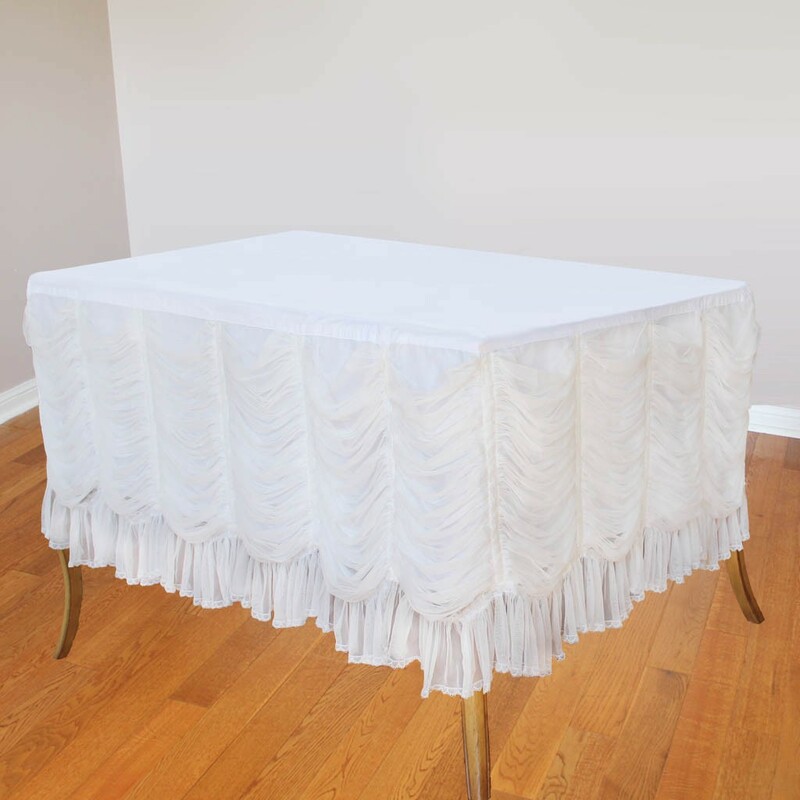 6ft Rectangular White Ruffled Fitted Tablecloth : 72"L x 30"W x 20"H (skirt length). 8ft Rectangular White Ruffled Fitted Tablecloth : 96"L x 30"W x 20"H (skirt length). Current skirt drop is 20". If you need a longer skirt drop (floor length), please use the contact form to ask for a quotation. Please note that this item is custom made for you upon order. 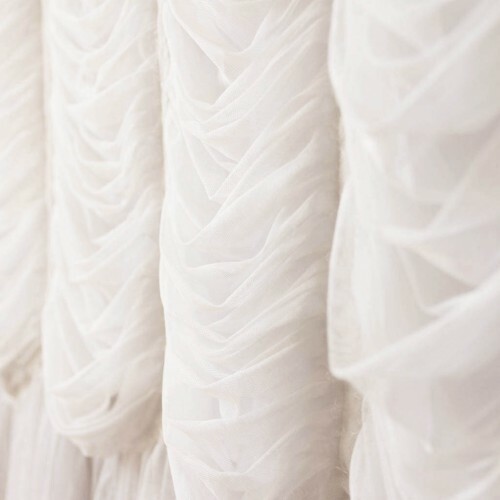 Custom orders are not returnable or refundable. Please allow 3-5 weeks before shipping.